Molybdenum metal is produced by powder metallurgy techniques in which Mo powder is hydrostatically compacted and sintered at about 2100°C. Hot working is done in the 870-1260°C range. 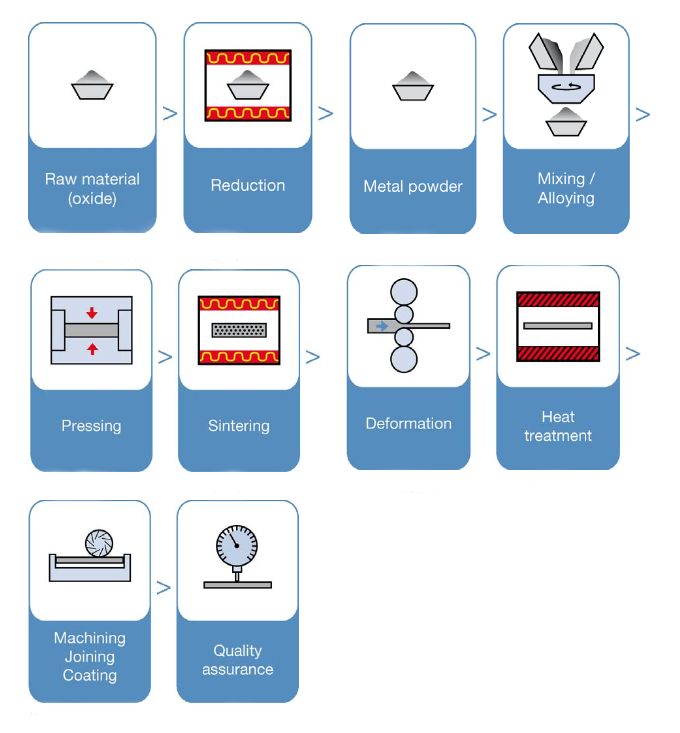 Molybdenum products at HEXON , including plates, rods, wires, tubes, and foils, are manufactured by powder metallurgy and various deformation processing. 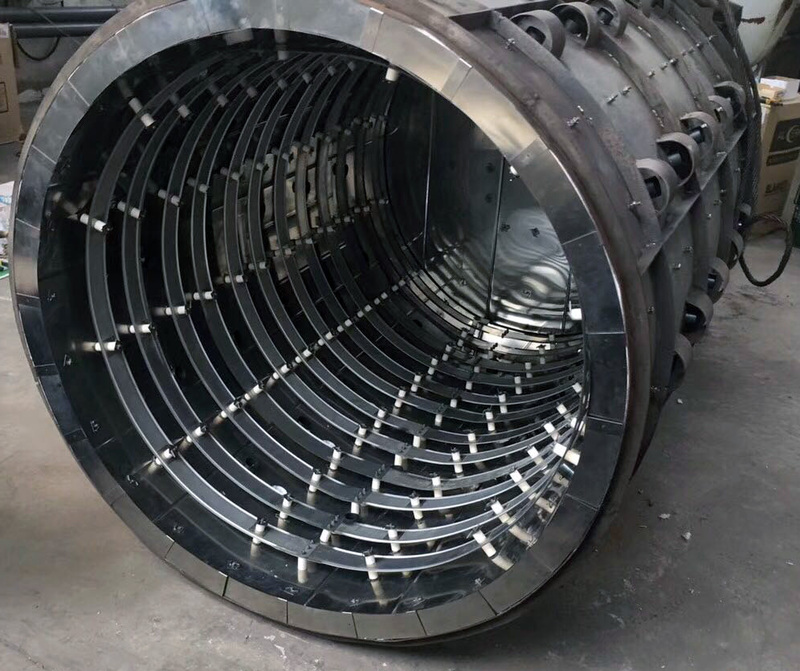 We are not only working on semi-finished forms, but also kinds of different custom parts and fabrications such as heating elements, heating shields, stamped parts, crucibles and boats, supporting parts, electrodes, and a diverse range of shapes according to customer’s specific demand. Molybdenum is a refractory metal that is extremely helpful in numerous modern procedures and applications that would not be conceivable with a large number of the more typical metals and compounds. Molybdenum metals and combinations are exceptionally impervious to warm and have one of kind physical properties. Molybdenum sheet mixes normally have a low solvency in water. Modernly, they are utilized in high-weight and high-temperature applications, for example, shades and impetuses. Due to these properties Molybdenum is helpful in numerous high temperature applications where high liquefying focuses are required. Molybdenum likewise shows great quality at raised temperatures making moly valuable in the heater, aviation, and comparable applications. What's more, Molybdenum's great electrical conductivity and low coefficient of development make it a valuable metal in electronic/electrical and glass-to-metal fixing applications. Molybdenum likewise has atomic vitality applications, and is utilized as an impetus in the oil refining industry. Molybdenum is likewise a basic follow component in plant nourishment, and Molybdenum sulfide is helpful as an oil, particularly at high temperatures where oils would decay. It is utilized for making segments of electric vacuum and electric power semiconductor. It is additionally utilized for creating molybdenum water crafts, warm shield and warmth bodies in high-temperature heater. Due to these and another one of a kind properties, molybdenum sheet is profoundly reasonable for various applications in the synthetic and hardware businesses. We are the outstanding association for assembling and sending out a phenomenal scope of molybdenum sheet. This item is produced at our premises utilizing quality tried molybdenum and the advanced machine. It is stringently tried on different predefined parameters to guarantee immaculate item at the client's end. Molybdenum Sheet has its application in hardware, medicinal gadgets and as steel-production added substances.